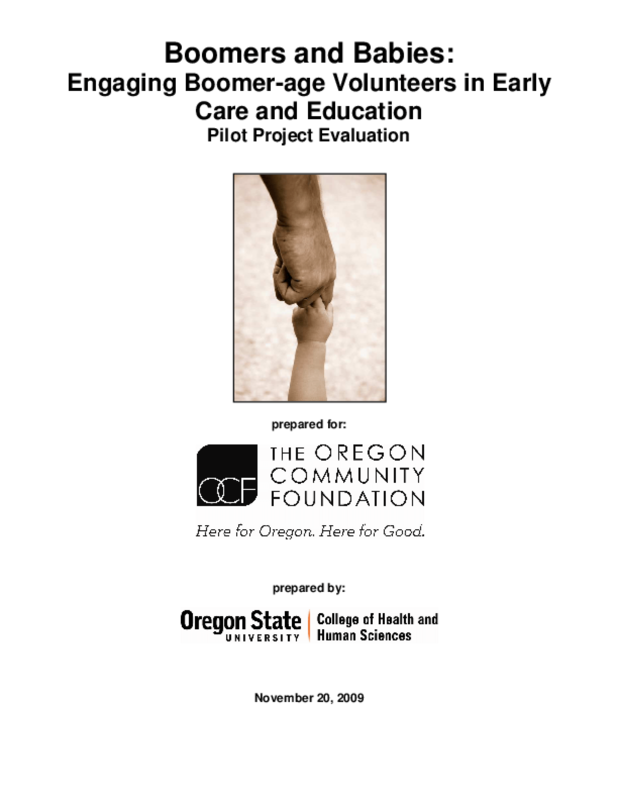 Evaluates pilot projects to recruit baby boomers as volunteers in early childhood programs for immigrant, special needs, and inner city children in Oregon. Examines successful strategies, effects on the children and the organizations, and lessons learned. Copyright 2009 Oregon State University College of Health and Human Sciences.